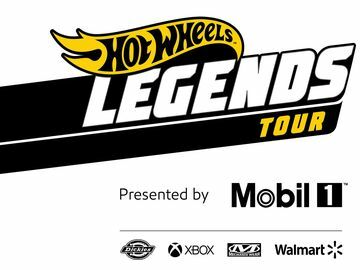 Hot Wheels® and Monster Jam® Roar into 2012 Season with New Team Hot Wheels Monster Truck | Mattel Inc.
EL SEGUNDO, Calif.--(BUSINESS WIRE)-- Hot Wheels® and Monster Jam® are teaming up in an even bigger way to bring fans the ultimate in thrilling vehicle experiences. For the first time, a Monster Jam monster truck will be driven by a Team Hot Wheels driver and will perform live - electrifying fans in a full line up of Monster Jam scheduled events in the 2012 and 2013 seasons. To celebrate the Grave Digger® 30th Anniversary, Hot Wheels will roll out new Monster Jam inspired toys ready to crunch, race and play. 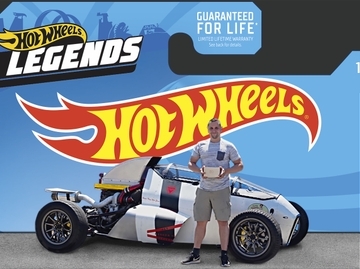 "Monster Jam embodies what Hot Wheels is all about — over-the-top action, awesome power, showmanship and giving fans the ultimate in fantastical vehicle experiences," said Simon Waldron, vice president of marketing for Hot Wheels. "We're ready to take on Monster Jam in a big way with Team Hot Wheels and give fans the opportunity to name our truck." To see how the Team Hot Wheels monster truck was created, fans can check out Hot Wheels YouTube channel for the "making of" footage for this monster truck. "The newly built Team Hot Wheels monster truck has an extremely unique body style and look which will make it stand out from the other monster trucks in a way that is consistent with the Team Hot Wheels brand," said Charlie Mancuso, president of Feld Motor Sports®. "Keep an eye out for some exclusive videos that will be released in a couple months featuring Monster Jam and the Team Hot Wheels monster truck." For decades, Monster Jam has been one of the largest and most successful touring family shows in the world. Over four million passionate fans fill the country's largest premier stadiums and arenas across the globe to see the spectacle at more than 135 tour stops and 350 live performances each year. Feld Motor Sports, Inc. is the world leader in specialized arena and stadium-based motor sports entertainment. Feld Motor Sports, Inc. productions include Advance Auto Parts Monster Jam®, Monster Energy Supercross, AMA Arenacross Series, Nuclear Cowboyz®, and IHRA® Nitro Jam®. Feld Motor Sports, Inc. is a division of Feld Entertainment, the world's largest producer of live family entertainment. For more information on Feld Entertainment, visit www.feldentertainment.com.